What a super, successful games! Even the weather was kind to us. Although a little wobble with the sound system, first thing, all was well in the end. How amazing were the children, including Pre-schoo? 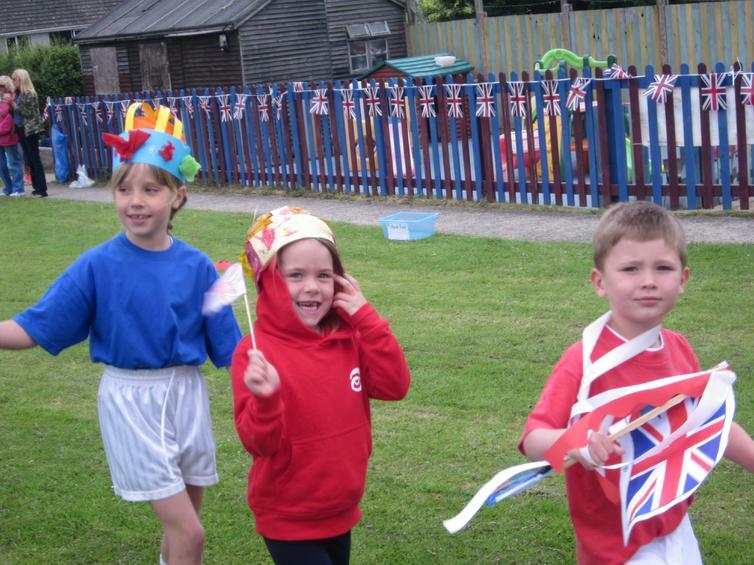 They seemed to thoroughly enjoy themselves, especially with the new activities in the Round Robin, and the ice lollies, kindly provided by FRoWS. 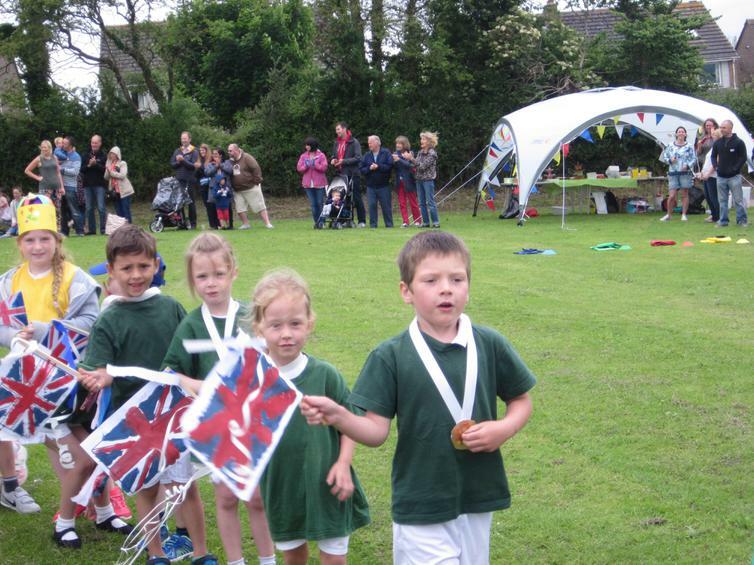 The overall winners, from the combination of KS1/F/KS2 scores were GREEN - well done Greens! A HUGE thank you, has to go to FRoWS, for providing a refreshments tent. This was very popular - the cakes looked amazing, and the Pimms?? 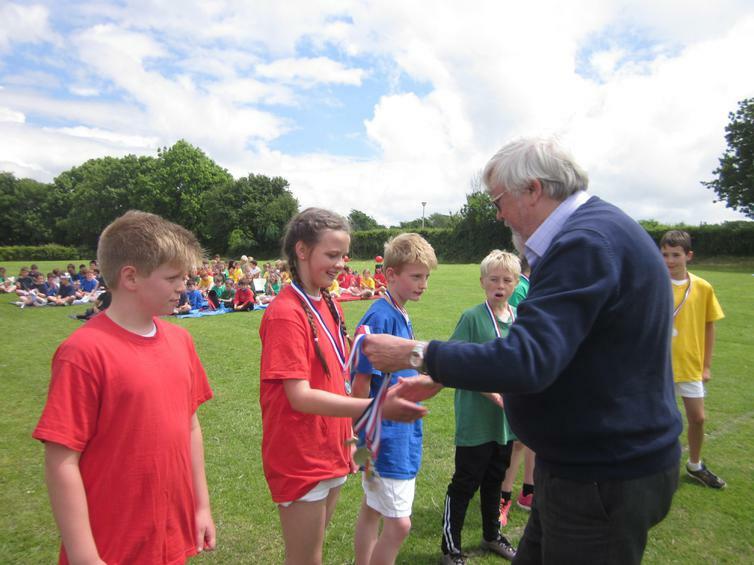 We would also like to thank John Stansell, for opening the KS2 games, and on behalf of the Parish Council, presenting medals to the team captains. The Parish kindly funded commemorative medals for every pupil, and these will be presented on Monday. 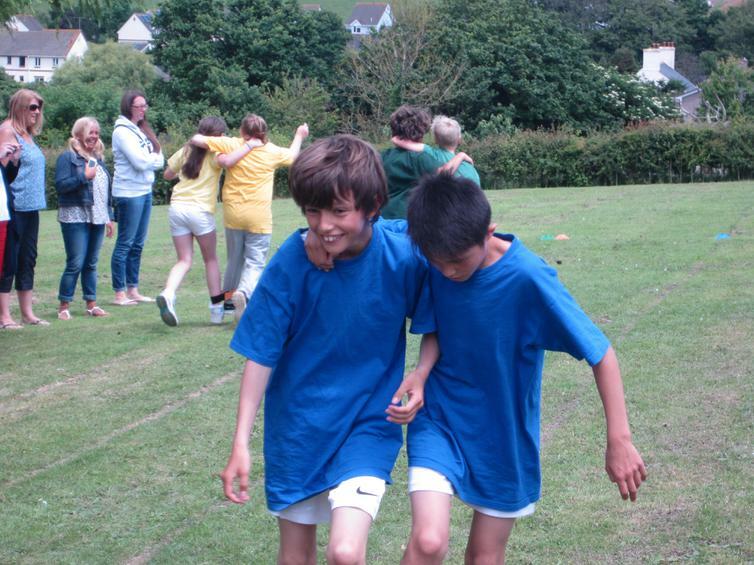 Some brilliant parent races, including the three-legged race in the afternoon. The race has never been so popular, but it wasn't as easy as you think. This afternoon could not have been as smooth as it was without the help of Billy, Thom, Summer and Scout, Coombe Dean Sport's Leaders -thank you for giving up your time to volunteer. The last thanks goes to our new kitchen staff, Sarah and Emma, who provided the lovely pasties and chips! We hope you enjoyed yourselves as much as the children - and to those of you on the Camp Out, enjoy this new FRoWS event. Thank you all for your continued support.